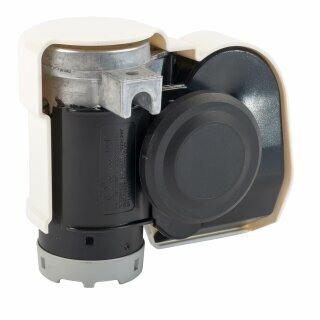 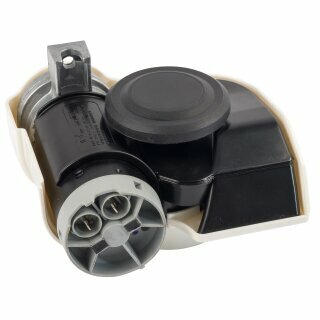 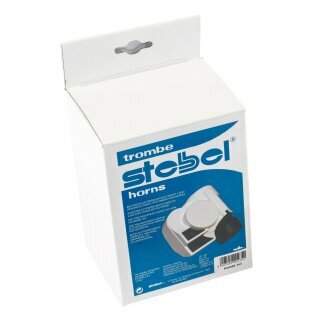 Compact twin-tone horn developed specifically for sea vessels! "MARINE Watertight" - space-saving technology in a fully concealed design. 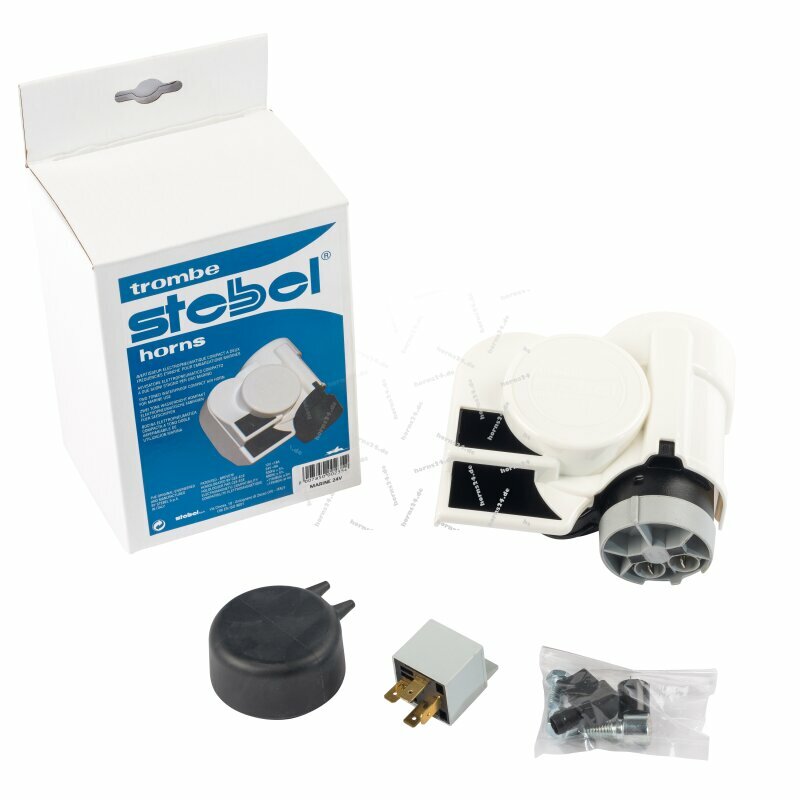 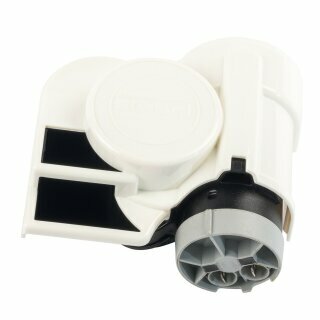 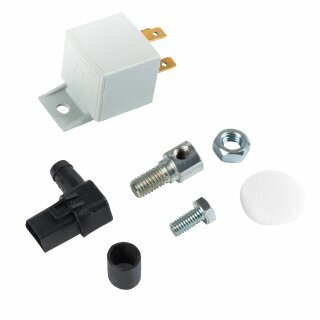 White marine style hi-grade ABS cover cap and water tight rubber connection protector.